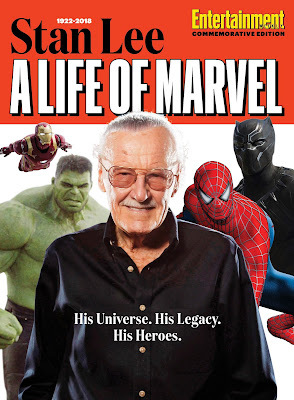 Stan Lee: A Life of Marvel tells the story of “Stan the Man” from multiple perspectives — including classic interviews with him detailing how he and the Marvel braintrust of artists and writers created Spider-Man, The Hulk, Fantastic Four, and other heroes and villains. • Exclusive interviews with other comic book and movie greats about Stan Lee’s influence (and influences). • A breakdown of his most famous characters — as well as a rundown of Lee’s own many pop culture cameos and appearances. • Tributes and remembrances of fans as well as the actors that brought his characters to life, including a first-person account from Marvel Studios chief Kevin Feige about the last time he met with Lee.